In form galloper Tan Tat Diamond made it back to back wins on Saturday, with an impressive victory in the Class 6 Plate over 1350m at Doomben. Ridden by Paul Hammersley, the four year old settled back towards the rear of the field after jumping but was never far away. He crept closer approaching the turn and once he found clear running, he let down well to win comfortably by a length. 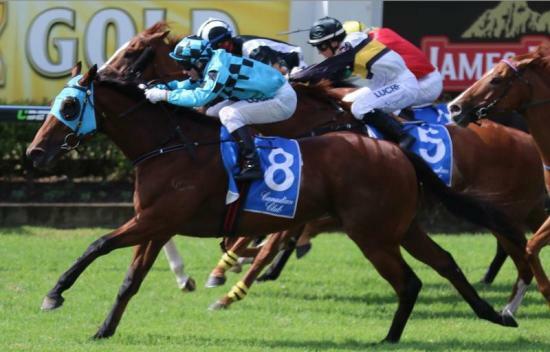 The win took his earnings to over a quarter of a millions dollars, $100,000 of which has been earned in just six starts since he was purchased as a tried horse late last year by Aquis Farm.